Earlier this year, Sniper Elite: Nazi Zombie Army (the zombie spin-off of the Sniper Elite franchise) rolled onto PC. It combined the Nazi-sniping of Sniper Elite with, you guessed it, zombies. 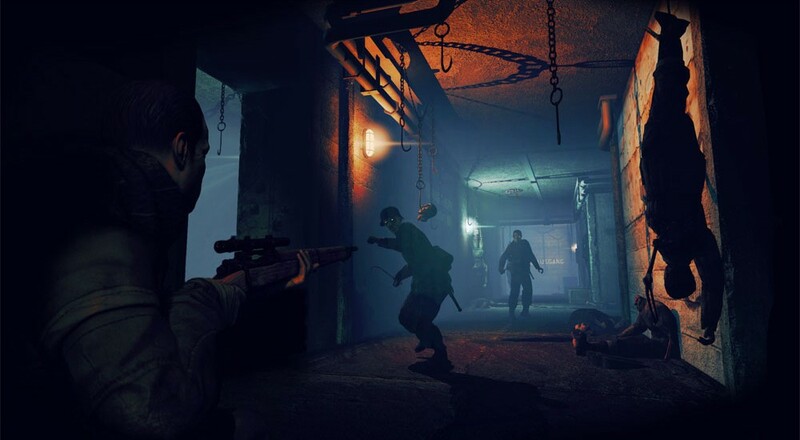 This Halloween, the Nazi zombies are back in Sniper Elite: Nazi Zombie Army 2. Currently available for pre-order on Steam, putting money down on the game before it's October 31st launch will give players a 20% discount on the price. So that means instead of $15, SE:NZA2 is currently available for $12. Like the previous game, SE:NZA2 appears to only be planned for the PC. You can check out the teaser trailer below which, while scant on the gameplay, shows off some of the spooky Berlin-inspired scenery. While we felt the first SE:NZA certainly had its issues, we also praised it for the fact that it was certainly designed with co-op play at its core. If you missed our review on the first game, you can check it out here. Sniper Elite: Nazi Zombie Army 2 will support up to 4-player online co-op. It's available via Steam for the PC on October 31st. Page created in 0.7220 seconds.